Kelley had enough of the mirror and decided to make a change to her physique. 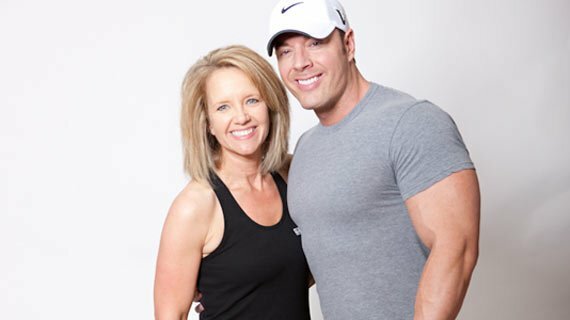 Read on to see how Kelley cut out her bad habits in order to cut the fat. I have had a life-long struggle with my weight. During high school, I was athletic but weighed around 160 pounds and maintained that weight during college. After college, I slowly lost weight and when I got married at 33, I happily weighed around 135 pounds. Then, a few of years later, after 2 back-to-back pregnancies, I maintained my weight around 180 pounds and was unhappy with my body. I was living a blessed life - a supportive husband, two wonderful children and a good job. Yet as a working mom, I was incredibly busy and I put everyone's needs ahead of my own. As a result, I squeezed in an occasional workout (although my current definition of a workout is vastly different than what I did then!) and my diet consisted of fast food, my kid's left-overs and consistently poor food choices. I tried every diet and did great … for 2-3 days, then the excitement would wear off, my hectic schedule would take control and would go back to my poor choices and lack of planning. I was always thinking about losing weight and getting in shape but never was willing to make the long-term sacrifices to do so. I avoided mirrors but when I would catch my reflection, I would often do a double-take, wondering, "Who is that overweight woman looking at me?" I was letting my life control me, rather than controlling my life. I was letting my life control me, rather than controlling my life. In the summer of 2010, I had enough - enough of the guilt, enough of the frustration, enough pretending to be happy with the way I looked. I heard that a friend of mine I hadn't seen for a while lost a lot of weight. I contacted her to find out how she did it. As I awaited her response, I hoped her success was easy - a pill, a cream, some trick that would magically make the fat disappear. 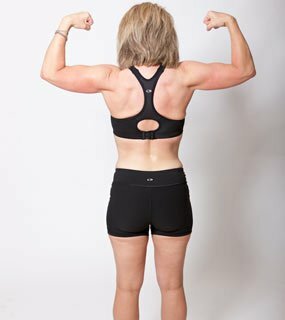 She responded quickly and shared with me that her transformation came by working with Micah Lacerte at HitchFit and through hard work, exercise, strength training and diet. She was so enthusiastic, so happy and looked so amazing; I wanted to experience what she went through and share in her enthusiasm. I contacted Micah immediately and I started working out with him a few weeks later. I was so nervous on my first day at HitchFit. I had no idea what to expect or what the diet would be, but I was ready for whatever was in store. I was ready to take back control over my life and make the necessary choices. During that difficult first workout, Micah explained the process - workout with him twice per week, burn 3500 calories per week by doing cardio, and following a strict diet - and the HitchFit philosophy - to believe in myself, know beyond a shadow of a doubt I could achieve my goals and give 110%. There was no doubt in my mind. I knew I could do it and I knew that I that the experience would change me. 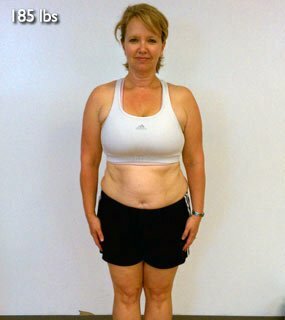 During that first week, I realized how laughable my pre-HitchFit workouts truly were! I worked harder, pushed myself beyond limits I didn't think possible and spent more time on ellipticals, stairclimbers and treadmills in that first week than I had the entire previous year….and I loved it. The diet was difficult, at first. The hardest part was cleansing my body from sugar and processed foods. I had no idea how addicted I was to sugar and caffeine and how those 2 items affected my attitude and my mood! Once I was eating clean and understood how good food choices actually fuel your body, I didn't look back! Although I grew tired of broccoli and grilled chicken, it is still my favorite meal! I contacted Micah immediately and I started working out with him a few weeks later. I loved my workouts with Micah. I complained when he asked me to do something that I thought to be impossible but secretly, I loved each and every exercise. He pushed me farther than I thought possible and encouraged me every step of the way. Just when I thought that the workouts would get easier, he pushed me to the next level: more reps and heavier weights. Every week, my body got smaller, my muscles had a little more definition and my confidence became stronger. I felt great! As I began to take control of my body, I also began to take control of my life. I found that the more positive I was about myself, the more positive I was about my life. I also was able to identify areas that were negatively impacting me. This empowerment gave me the courage to make changes and let go of those influences that were negatively affecting me. This was somewhat of an 'aha' process for me - the understanding that I was in control of all aspects of my life. This was the feeling I had been looking for and I finally found it and the understanding that it had always been there. I did not use any supplements during my weight loss transformation, other than protein that is included in my diet. 30-45 minutes. All of my movements focus on going slow and controlled. I go from one exercise to the next with little rest. Cardio: 4-6 days per week, going for 500-750 calories per day (45 min -75 min). I can split my sessions of cardio up too. Have an accountability partner. For me, this was Micah's role. In addition to being my trainer, I was accountable to him every single week - he weighed me every week and we measured every 2 weeks. This made my daily decision-making rather easy. Have a cheerleader. Despite the excitement for the positive changes, this is not an easy process (nothing worth having is easy!). There are times that you will stumble, maybe even fall. Your cheerleader will be there to help pick you up, encourage you through the entire process. Journal your food and exercise. I knew my numbers - the breakdown of the food I was eating, how many calories I was consuming and how many I was burning. Help others along the way. During my journey, so many people would share their story with me - their struggles, their triumphs. This was a great opportunity for me to encourage them, to inspire them to keep going. So many people did this for me during my journey, it was (and continues to be) my turn.